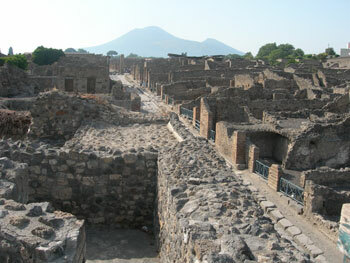 The road to Vesuvius may be hard-going, but the route to signing up for our project has just a few easy steps. Read the following terms and conditions carefully and send in your application form to see if we still have room in our limited number of spaces to accomodate you. The Pompeii Food and Drink Project reserves the right to reject any applicant we believe will not be able to make a positive contribution to the work of the project. E-mail our staff with any questions. If you have any special health or physical needs, including dietary restrictions, please e-mail us to ask what accommodations are possible. Please complete the on-line Application form. If your application is approved, a non-refundable deposit of $500 per person is required upon enrollment. Returning participants may sign up for one or more weeks and may deduct $100 per week from the weekly fee. First half of your payment is due on or before February 1, 2019. Final payment is due on or before April 1, 2019. If you apply after March 1, 2019, the first half of your payment will be due upon approval of your application. No refunds will be made after May 15, 2019. The fees do not include travel insurance, medical insurance, airfare, or transportation to and from airports. The fees do include accommodations and all meals and project fees. Returning team members may deduct $100 per week from the weekly fee. 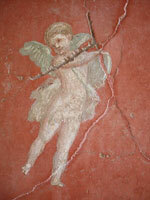 All payment must be made by check, made payable to Pompeii-Food-and-Drink. Cancellations must be in writing no later than 30 days before departure. Deposits are not refundable. 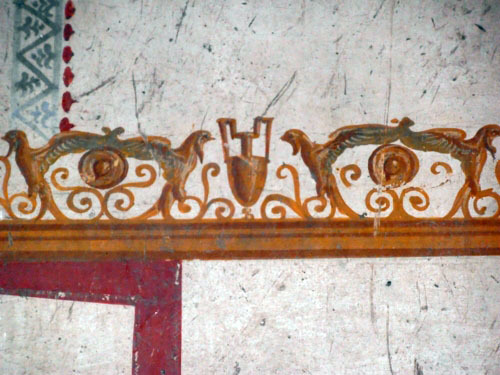 Pompeii-Food-and-Drink.org is not responsible for any accident, injury, loss, or damage to person or property, death, delay, or inconvenience caused directly or indirectly by actions of carriers or other third parties. The project is not responsible for strikes by scavi workers, nor for inclement weather conditions, acts of God, fire, flood, war, criminal or terrorist activity, rebellion, quarantine, epidemics, thefts, or other causes beyond our control. Team Members are urged to take out trip cancellation insurance, plus medical insurance for abroad. TravelGuard.com lists many options.